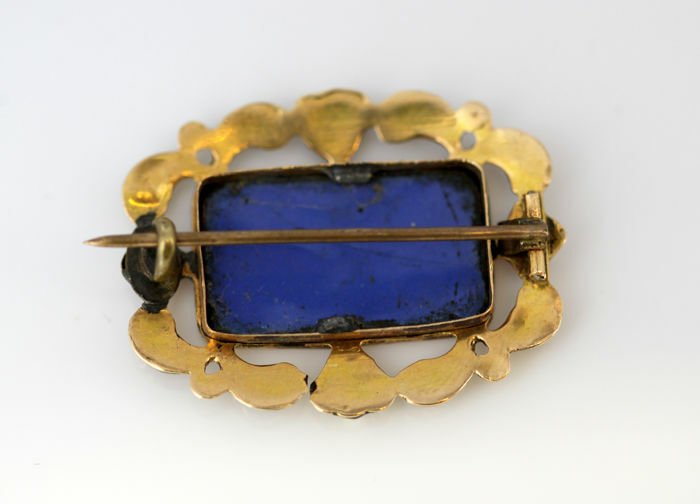 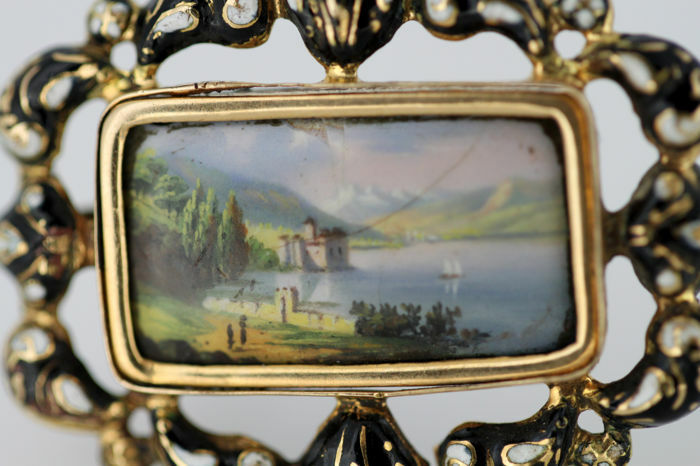 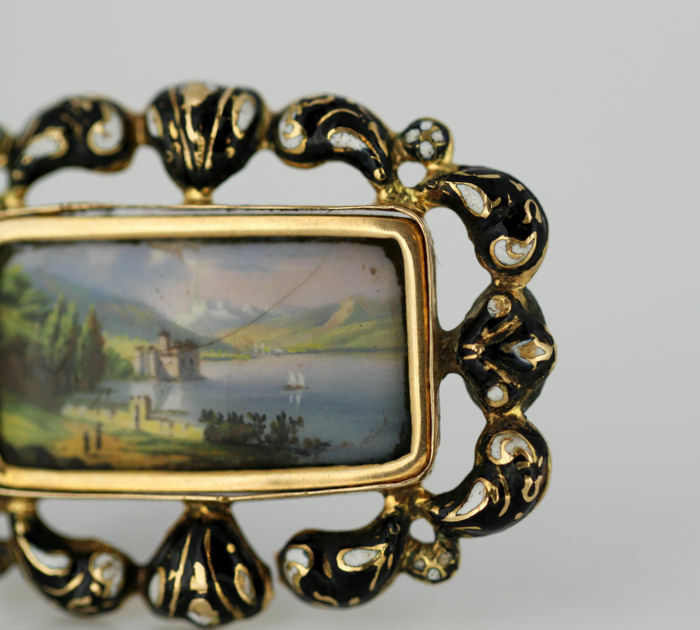 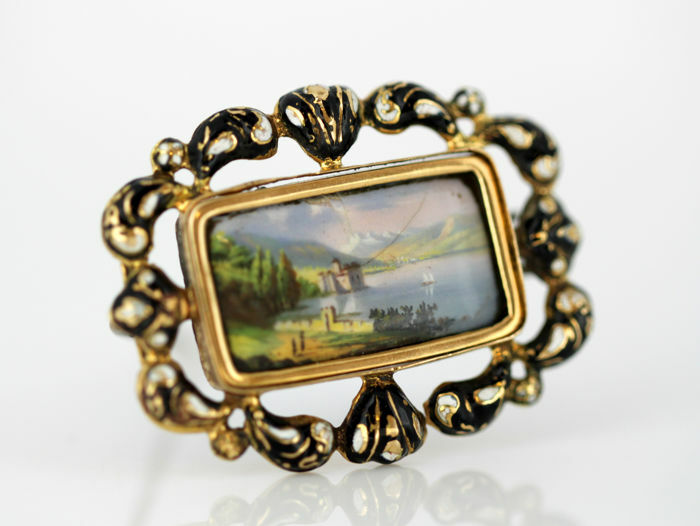 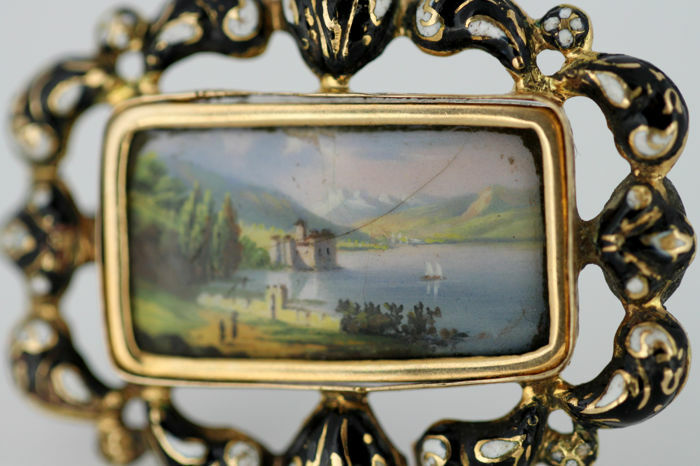 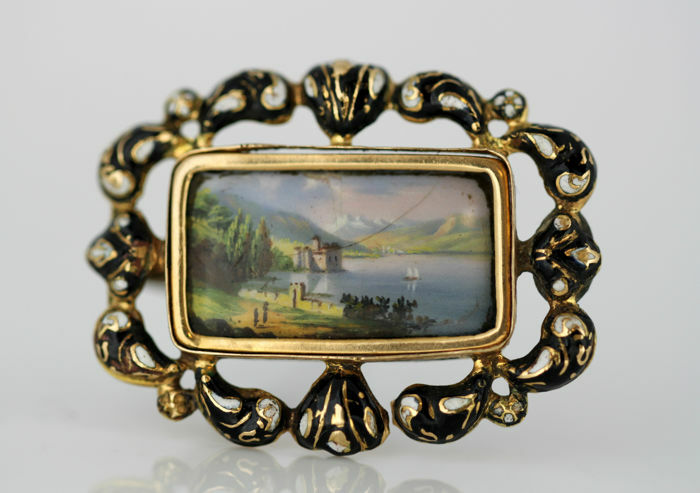 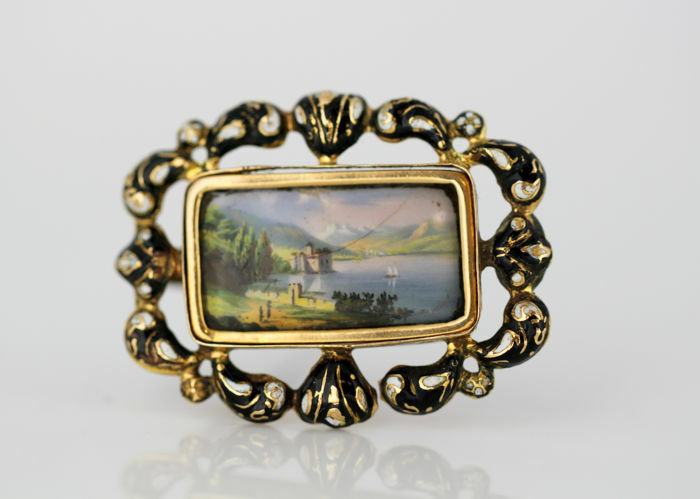 Antique Victorian 15k gold brooch with black enamel decorations and landscape enamel painting. 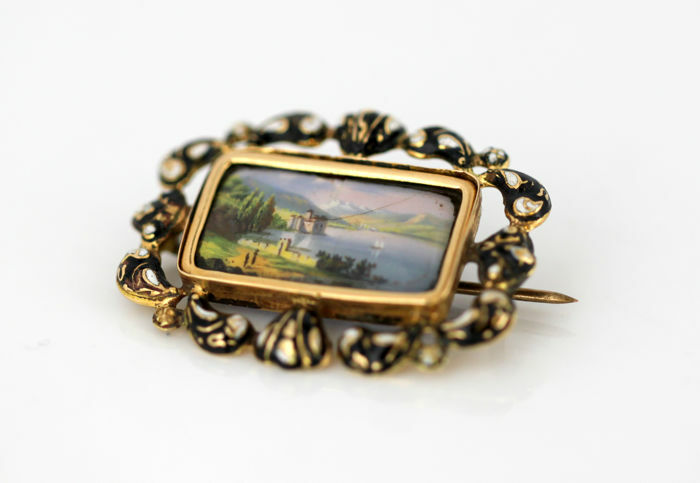 Condition: Brooch is antique, painting has some chips at the top and a hairline in the middle. 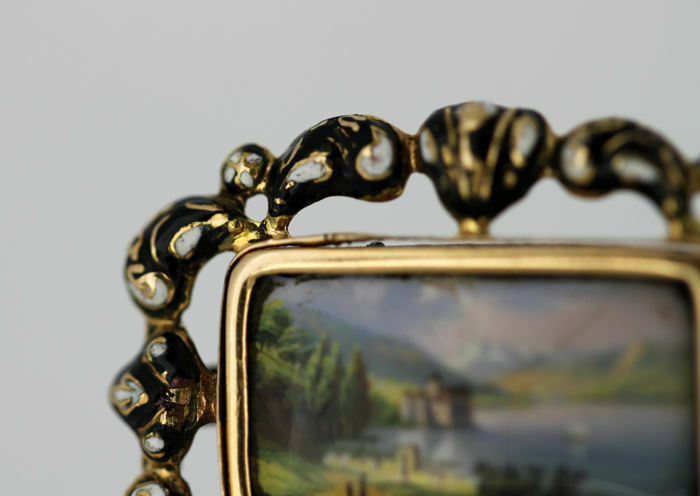 Some surface & age wear is also present as expected, good overall condition , please see pictures for a better judgement of the items condition.